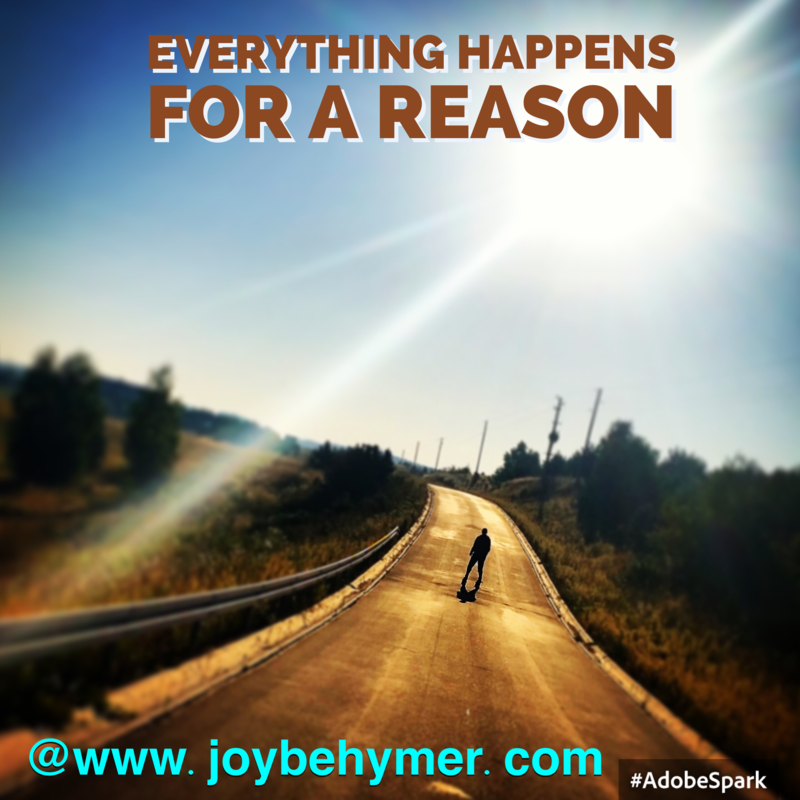 I was reminded today that everything happens for a reason. So many times in my life I have been on a new journey or course when life hijacked the journey and changed the course. Like your gps taking a different route that you did not intend to go, you still can arrive at your destination. We can get so caught up in our egos and refuse to see that there’s a better course laid out ahead. Often it doesn’t make sense and we may initially think it’s either a no or isn’t going to work out. What I have come to learn after time and time again is that it is just a reroute for a better direction. Sometimes we intend on walking in a direction and it often doesn’t turn out the way we may have pictured it. The journey is always unfolding ahead. If we can let go of the reins of how our brain thinks it has to go, we open up this marvelous space for beautiful opportunities to show up. The people we need to assist us on our journeys show up when they are needed. Often not before. We can stop ourselves from forward progress because our “game plan” isn’t unfolding the way we think it should go. Or I find often we delay beginning the journey because all the people and pieces aren’t yet in place. We can start and say yes to move forward without truly knowing how it will all unfold. Scary maybe, but it is the starting point. That is where the beauty, excitement, and surprises get to come in. If I always knew what I was doing when I started any new project or journey, it would have probably lost its inspiration. If I had waited until I was sure I knew what I was doing, I could just bet you I probably never would have started. Many things I have accomplished or journeyed through in life started with an idea or an inspiration. Although I was sure my intuition was onto something, I truly did not know what I was doing. That is where the excitement came in for me. It’s the unfolding and yearning to learn. I get to open up like a sponge and see where it takes me. Even with an end goal in mind per se, it always unfolds different than expected. Usually better than I could have planned. When I had my child, I certainly did not know what I was doing. Ask many parents how much trial and error they experience along the way. When I decided to leave my stable career in nursing and start a business, I certainly was not fully prepared. If I waited until I was sure it was all in place, I’m sure I would not have taken the leaps. Even mustering the courage to start publishing my writing to the public was extremely scary, but if I didn’t start somewhere unsure and knees knocking, I would still be torturing myself with my ideas and dreams. It’s okay when your journey takes you down new halls or corners unplanned. Rather than seeing them as obstacles or failures, try to see them as opportunities and blessings to enable those dreams. The energy set forth with intention needs space for leverage to work on your behalf. When you can ask yourself what is happening for you rather than what is happening to you, you change your resistance into allowing. That allowing is the invisible creative energy opening doors for you. Hold your visions and be in anticipation for good things working in your favor. It takes some trust, but it’s worth the reward of your patience. Sometimes the biggest thing you can tell yourself in the meantime when things are taking a turn is that everything happens for a reason. Over time, you can see what those reasons are. I find often pleasantly things always happen for a reason. They are happening for you. I’ve learned over time, there are always some critics that will show up to critique you. This can stumble your momentum or stop you altogether. I think it is important to keep in mind that your movements and work in life will often open doors to misunderstanding. It takes courage to move forward. When we are criticized we may take it too personally. It can be beneficial to understand that someone else’s criticism generally reflects what they think inside, so why wage a war in your own mind when they show up? If you frequently use your precious energy to beat up on yourself and internalize critiques, you can hold yourself back rather than launch yourself forwards. Most of us are looking for that momentum and we don’t realize how much we can slow our progress down by mulling over the critiques or embodying them in our minds. 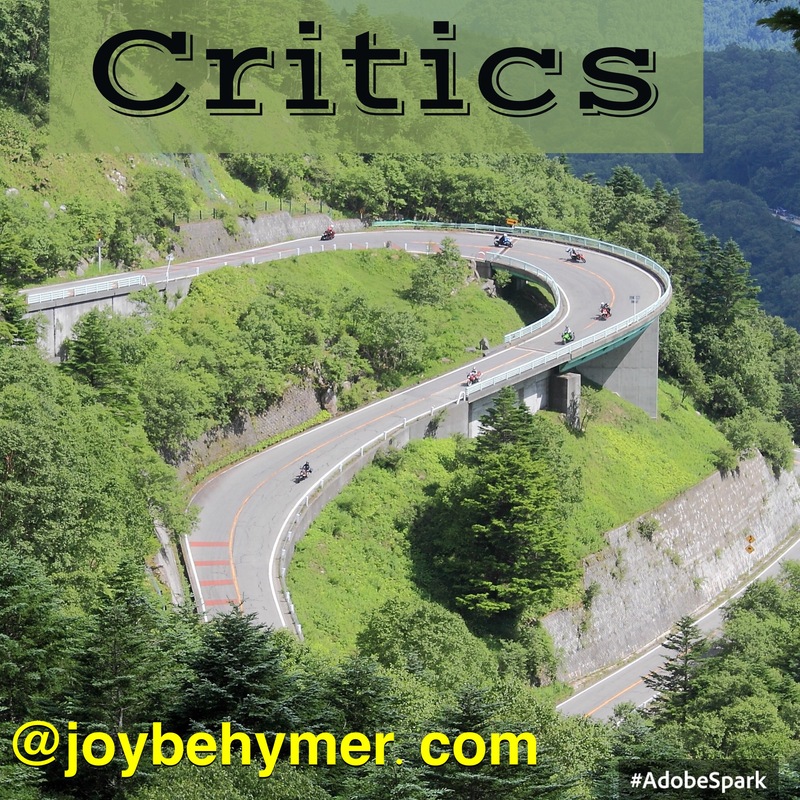 Repeating our critiques creates a negative effect. When we can encourage ourselves from the inside, we gain confidence and positive momentum that can carry us further than you can imagine. It helps to be your own cheerleader. There will be times we need to be there for ourselves and if you have a positive foundation built within yourself, it can certainly help you through the tougher times. It takes practice and repeating to really get in that space more often. Encouraging ourselves is how we have the opportunity to gain experience in anything we set out to do. In short: Practice! I see my writing, my art, my work, and my kindness as a practice. It’s not something I have automatically obtained or arrived at. Just like happiness our work, crafts, and art are a practice, not a final destination. We keep choosing it. Choosing to encourage ourselves rather than criticize ourselves changes the energy we vibrate and operate from. Think about how it feels when you or someone else is constantly criticizing you. Now, think about how it feels when you or someone you know constantly encourages you. Encouraging and cheering yourself on as you go helps you maneuver through the critiques. Also, it is important to recognize when the art of criticism is good and useful as well as when criticism needs to be ignored. You do not have to accept every criticism as truth. Much criticizing is done from the place of doubt and uncertainty from others. It is a reflection of some doubts on the inside of them. Especially when it is mean and hurtful. It’s about what you tune into. There is a difference in constructive criticism that may help you reach higher levels. Knowing the difference can help your perspectives. For example, my beautiful writing coach has the tough job to point out mistakes and offer constructive criticism. This is our agreement with each other. This is how I learn deeper in my writing practice for publishing and so on. I have practiced the art of encouraging myself for some time now. I think if I hadn’t, it would be very difficult to receive my mistakes and feedback. Not that she doesn’t continuously give me encouraging feedback, but we often hear our critiques amplified. The positive criticism comes from a place of help and love. We can take it the unintended way if we haven’t practiced speaking kindly to ourselves. It takes a bit of learning to stop beating up on yourself so easily and practice encouraging thoughts instead. It’s baby steps in turning some of your inner dialog around. Perhaps a plan or idea came to a bust. You could give yourself a hard time on all the things you can find and focus solely on what went wrong, or… You could give yourself some encouragement for trying. See the opportunities and solutions. Open the door and give yourself some room for perspective. It may be the stepping stone you needed to reach the levels you’re striving for. Things will happen in life. And the critics are plentiful out there. You don’t have to allow it steal your focus or joys. It helps to practice your inner dialogue and thoughts to a higher place regularly. Think of it like passing trees and cars as you travel down the road, you can let happenings, life, and criticism pass on by as well. Allow it to move through you more than becoming it. Just don’t let it sow a seed on the inside. Let the things that help you, help you. Let the things that don’t,go. We have to often let go of criticisms so we can fly. 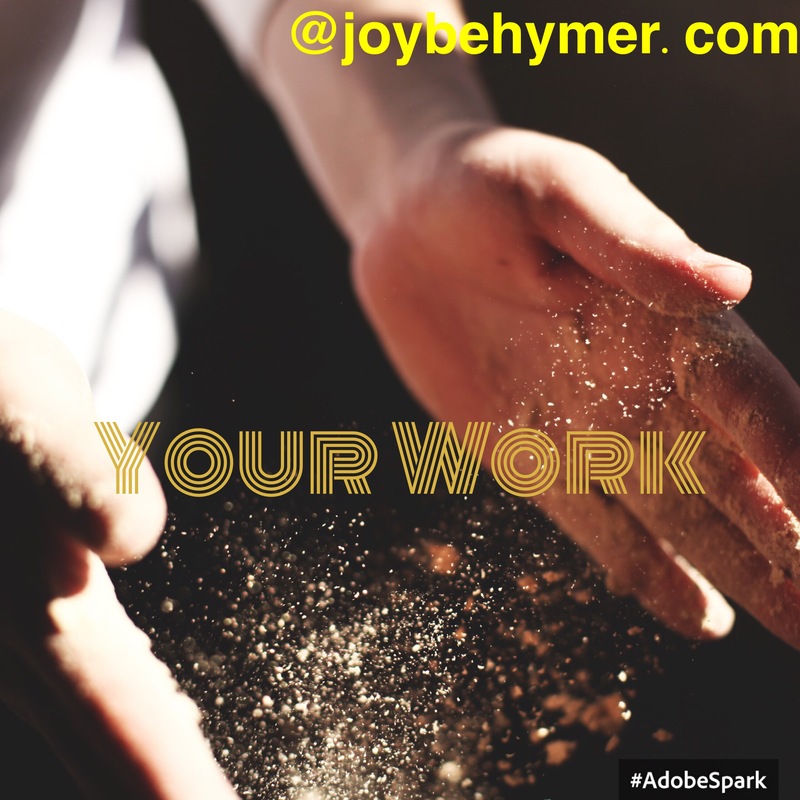 What’s your work? Some think of it as how you earn money. What you do for a living. Many struggle to know their work. As if we have one purpose. To be a doctor, an artist, a singer, or perhaps a writer. My advice: Relax. Even if we are blessed to “know” some of our greatest gifts and talents, it doesn’t encompass all you do. Or what you are. It is also not limited to one art or study. It’s the many things we do and experience in life. Your work is to shine your light. Your work is to watch for the paths towards excitement and joy. Your work is to follow passions and what you love. Your work is to experience the journey. One becomes a doctor from many years of studying and being mentored along the journey. One becomes an artist over the hours and years practicing his or her craft. One becomes a writer from much contemplation, learning, and outpour. They are all journeys. Would you want a doctor who never studied or practiced to perform your surgery? We can appreciate ourselves and each other by recognizing we are all on a journey. We are all at different places and infused with many journeys simultaneously. Your work is not getting caught up in end goals because the experience is in the journey. Besides, even when you meet a goal, there will be something next. Life doesn’t stop moving because of your accomplishments. I’m not here to say you can’t be appreciative and proud of your goals. Just a reminder that the experience is in the journey. I have clients who feel there is something next and don’t know what that journey is. Or maybe you have gotten into a habit of not believing in yourself or your work. Your work is to notice what lights you up and share your light with others. The world needs you. Your talents and your gifts can only come from you. You never know who needs you somewhere out there or who may be waiting for your gift. Your work is to focus on your passions and intentions. Your work and yourself can be held back if you worry about being good enough, comparing your progress with others, or maybe just doubting yourself and your work. Do you worry if you’re good enough? Do you compare your work to others? This holds your work back. You can be in the same profession as others, but they can’t do their work the way you do. You will practice the art (any art) with your own style and fashion. Rather than comparing, you can empower yourself and your work better by realizing that each journey is individualized with its own rewards and remembering that there are people who need you and your work. Maybe someone has already written on the topic you’re sharing. Maybe someone out there needed to read it the way you wrote it. Maybe someone else has spoken about the topic you’re sharing. Maybe someone out there needed to hear it the way you said it. Maybe someone else out there is also styling hair, teaching, selling, practicing law, but maybe someone out there needs the way you style hair, teach, sell, or practice law. You won’t often find yourself in your field alone, but you will be the only one executing your craft and gifts the way you do. We are all needed somewhere. It can be uplifting and life giving to know your work is needed and has a place in the world. Your work is of you. Embrace your journey. For it can’t look like anyone else’s anyway. Your work is your creation. How does one describe the endearment of love? I think love is infinite. Love is kind. Love is eternal. It is something you take with you always. It infuses your soul. It is the highest expression you can give someone. Love also has the power to heal. Love is described in an infinite number of ways. Love is felt, seen, give, and touched differently. Each experience with love is unique. We can help others with love. One of the highest gifts is love. How we feel love, how we show love, and how we infuse love into what we do reflects a powerful high vibration. I believe this vibration not only heals us, but also helps to heal loved ones, and in turn our earth. Love is magnified throughout the universe. Can you believe that when you love yourself and others, you are contributing to a positive vibration within the collective consciousness? To give and receive love you are part of helping the planet. Love can guide you to feeling your connection with the earth, in this universe, and with each other. I often hear “How can I make a difference?” Love. What can I do? Love. How can I contribute? Love. Love where you are. Love yourself. Love those around you. Whomever you come into contact with daily. Before you smirk about those annoying or pesky individuals in your life, could you instead try to see them with more loving eyes? It can change the energy you interact with and receive from that person. If you don’t enjoy their presence so much, you can use love to shift your experience with them. Sometimes people are moody or unkind because of how they feel about themselves. Show them some love and see what can transform. Love has the power, the ability, and the magic to transcend. Even what may seem impossible to change. Everything is energy and everything moves on some level. So there is always the power of change. Love is something you can believe in. Love doesn’t have one definition, description, or language. Through hardships, love can uplift us. Love gives us hope. Love gives us peace and love gives us possibility. No matter your job, your titles, your family dynamics—-you have the opportunity to infuse them with love. Love is boundless and timeless. We may not take our material belongings with us when we transition from these bodies, but I do believe we take our love. Our status, our finances, our home all stay behind. Love goes with the soul. The bonds through love are never ending. No matter what you believe, love helps our journey in life. 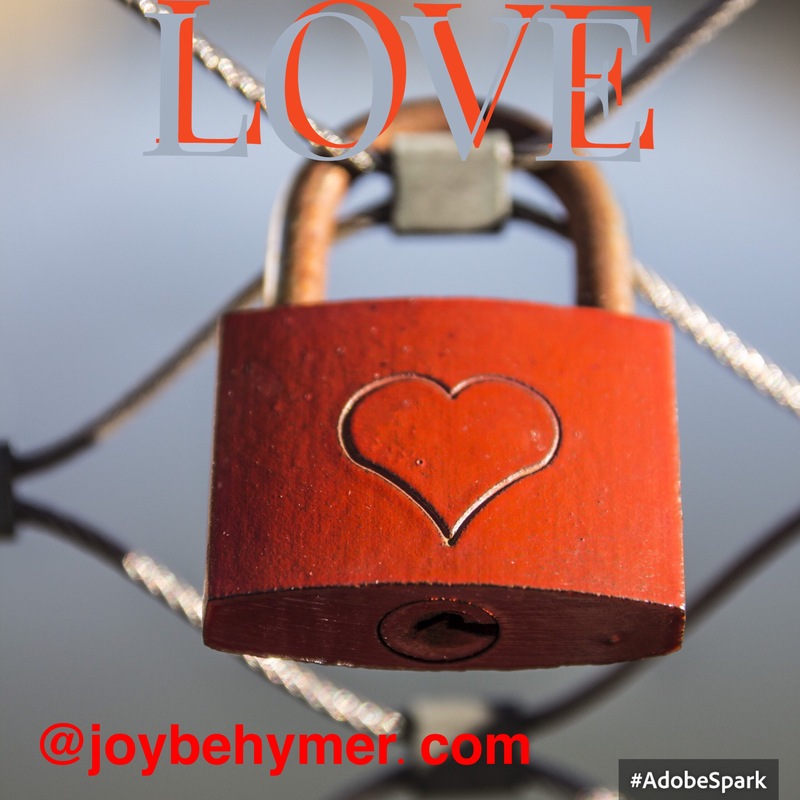 Love is also linked with happiness, gratitude, and joy. They dance in this artful experience of life. Our lives and joys all look different from one another, but all joy is a root of love. Every day when you arise and move through your day, you have the option to bring more love. To show love and to see love. No matter what is blaring on the news. No matter what fear and stresses have been amplified by so many. You have the option, the opportunity, and the ability to love. In small or big ways. Maybe it’s making breakfast for your family. Providing transportation, smiling at customers, helping your co-worker, holding the door for someone, helping someone that has their hands full, paying a compliment, being gentle with an animal, being patient with the elderly, or simply showing up with your presence. Pay attention to what energy you infuse. Then pay attention to what is coming back to you. The more love you can infuse, notice if anything uplifts. Pay attention to how it make you feel. The atmosphere around you. Consider this as an experiment. And I’d love to hear your feedback!